Gain a basic understanding of the nine steps of Yoga Nidra developed by Mona Anand and Alan Finger. This is an opportunity for students and teachers that have not been part of ISHTA’s Advanced Teacher Trainings to develop an understanding of Yoga Nidra and the science behind it. Mona will go over the three different rotations of awareness that she uses in her classes and on her recordings. These different rotations can be selectively used to help you to find balance, to calm your energy when you are agitated, or to lift your spirits when you are feeling down. This workshop will include a Yoga Nidra practice, followed by a lecture, and an opportunity to learn how to teach a basic Yoga Nidra practice. It’s a perfect way to refresh before the training or to deepen your understanding of Yoga Nidra. Modeled on Mona Anand’s signature Restorative / Yoga Nidra Chakra Balancing Series, this training will teach students how to recognize chakra imbalances and develop Yoga Nidra practices to find balance. Students must have completed Mona’s Yoga Nidra Teacher Training (20 hours). *No further discounts are available. All specialty training program tuition is non-transferable and non-refundable. Read Mona Anand's blog 'Mona Anand on the Power of Yoga Nidra' . Learn about how Yoga Nidra came into Mona's life, and it's transformational power. This training, designed for teachers and students, delves deeper into yoga nidra. Yoga nidra can be used for many purposes, which include deep relaxation, to release what lies in the sub conscious and unconscious and to experience an expanded state of consciousness. Study the science behind yoga nidra and look more deeply into the nine steps of yoga nidra developed by Mona and Alan. Participants will experience, design, discuss and practice teaching each of the nine steps. Design short and long yoga nidra practices for stress management, depression, anxiety and insomnia. Delve deeper into how yoga nidra can be used for pain management and healing. Location: ISHTA Yoga Union Square 56 East 11th St.
A certificate of completion for this program will be issued to those who have success- fully completed the written assignment and attended all of the 20 hours of the course. The yoga therapy components of our training are based on our yoga nidra expertise, not derived from our status as a RYS with Yoga Alliance Registry. Yoga Nidra is a powerful meditation technique that can be used for many purposes including deep relaxation or sleep, to release what lies in the sub conscious and unconscious and to experience an expanded state of awareness. In this workshop we will focus on the nine steps of “Mona Anand’s ISHTA Yoga Nidra” a system of Yoga Nidra developed my Mona Anand and Alan Finger. You will learn the science behind this powerful technique and how to design a basic yoga nidra practice for yourself or your students. We will discuss the three different rotations of awareness (body scans) that I’ve developed and use in my classes, workshops and recordings. These rotations are designed for different purposes that include: to ground and center, to reduce anxiety, to lift your spirits and to balance your energy. We will look more closely at “the pairing of opposites” one of the nine steps that helps us to manage the duality of life; pleasure / pain, likes / dislikes, happy/ sad. We will also learn more about and practice visualization – an integral part of Yoga Nidra. This workshop is a mini version of Mona’s twenty hour Yoga Nidra certification. It is designed for teachers and students interested in delving deeper into this profound practice. You will learn how to design and teach basic Yoga Nidra practices for yourself or your students. It can also be used as a prerequisite for my Yoga Nidra and The Chakras Training. "I highly recommend Mona Anand's ISHTA Yoga Nidra training to anyone who wants to learn more about this powerful practice. Mona's knowledge of the science, energetics, and healing qualities of Yoga Nidra is incomparable to anyone else's in the field. Her love & passion for yoga is only surpassed by her generosity of spirit. Learning from Mona is an absolute delight." "As a student, I regularly attend Mona’s classes and workshops and have benefitted from Mona’s Yoga Nidra Trainings enormously. It is a simple and profound tool to help my nervous system, body and mind relax deeply. I use yoga nidra to re-charge, to relax before sleep and after I wake up if I have had a restless sleep. 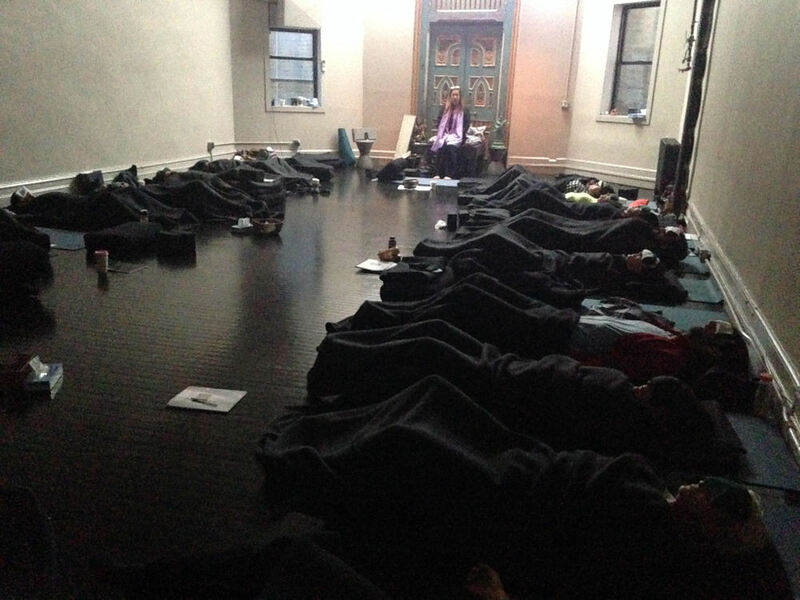 Yoga nidra has helped me with my regular yoga practice, with connecting to meditation and is one of the reasons I can live in an intense city like NYC with grace. For those wanting to deepen their practice, as a sweet alternative to meditation, and for an effective, simple relaxation tool, this is it. The trainings are essentially a retreat for 3 days with life changing benefit." " Words cannot express the gratitude I have for your training this week. You encompass such great wisdom, and you are a true yogi. You opened my eyes to the magical wonders of Nidra. " "Thank you. The scope of the series is so comprehensive, expansive and seamless and the depth of knowledge and wisdom informing the artful teaching so integrated that I am in awe. Even the 3 hour class yesterday with the expanded yoga nidra after the asana flow (with restorative!) was a master class in the art of teaching various modules from such a depth of understanding that their connection itself was manifest.
" What a great training! Packed with well rounded information about Yoga Nidra. Fun, inspiring, and easy to incorporate into my teaching and my own practice. And FUN, did I mention fun?! Mona is a fantastic teacher. " "I am so grateful for having taken Mona’s Yoga Nidra training at ISHTA! I have a regular practice of yoga nidra, both when I take her classes and in my own practice. So, being able to delve more deeply into the practice was a gift for me. 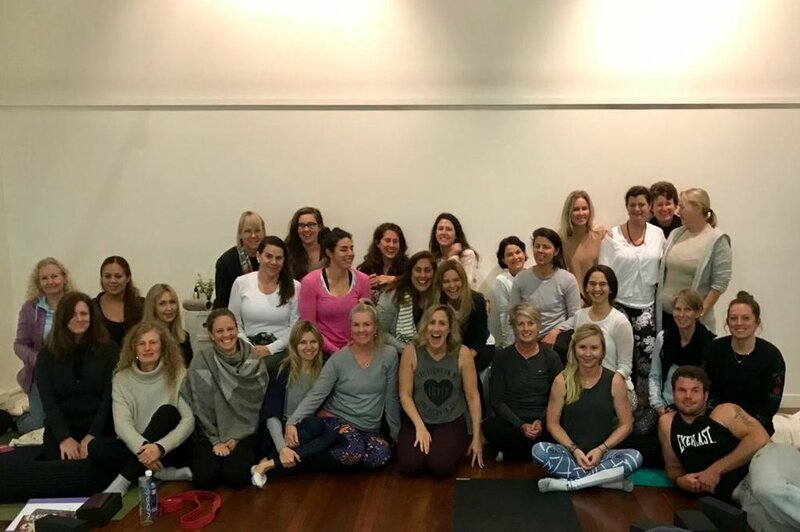 Mona’s training is immensely beneficial to yoga teachers, who want to incorporate yoga nidra in to our classes, as well as students who simply want to incorporate yoga nidra in to their own lives. In the training, we were given a lot of really helpful information on the individual steps that make up yoga nidra, as well as scientific reasons behind why and how it works. All fascinating! Also, Mona offers a lot of sequencing options as well as suggestions for shorter and longer practices. I was so happy to learn more about how to use yoga nidra in the context of energetic imbalances as well as therapeutic applications like PTSD, chronic pain, and emotional and sleep issues. We had lots of opportunities to practice on each other, which was so helpful. 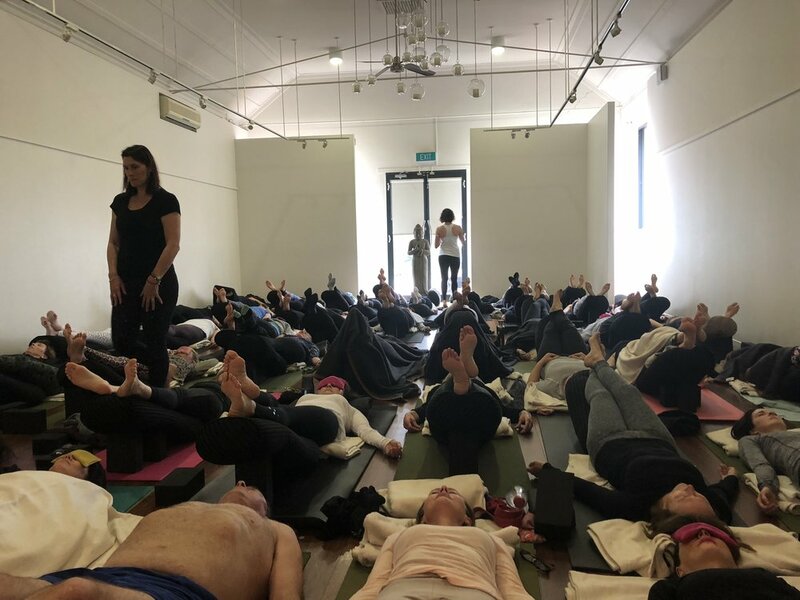 We also had daily yoga nidra practices, which allowed us to experience all we were learning first hand… Plus they were led by Mona, which is a treat unto itself. Mona manages to. weave all of this wonderful information together in a fun, practical, and very creative manner. Her brilliance in her knowledge of all these areas is so profoundly inspiring and her enthusiasm and presence are always a sheer delight. Thank you, Mona"
"The Yoga Nidra Teacher Training is the most valuable speciality teacher training I have taken. As a yoga teacher, the tools offered by Mona Anand in this training have been very important in many parts of how I structure my classes, from how I bring my students into a state of focus and good feeling, to the final relaxation. My Yoga Nidra practice has transformed my life, I am able to calm down and sleep better, as well as be more present in daily life. I am so grateful that this training is offered." "When the yoga nidra training was announced, I couldn't sign up quickly enough. 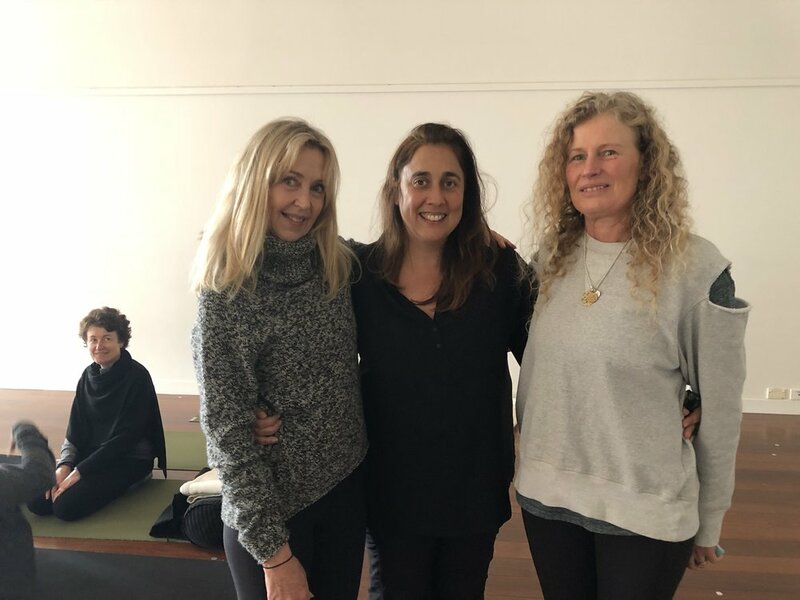 After having completed the 300hr ISHTA training with Mona as my mentor and having a taste of "Mona Anand's ISHTA Yoga Nidra" technique as part of that training, I was eager to spend more time with both. The transmission of this work from Mona to her students is nothing short of magical. Her tremendous knowledge and insights of yoga coupled with her well-known humor is a potent combination. However, when the transmission is yoga nidra there is something almost other- wordly that occurs. Her passion for this work is in every word she speaks, whether one is being guided through a yoga nidra by her or is in the midst of learning this powerful technique from her. The class content was interesting and thorough and Mona creates a warm and engaging environment that allows for an even more satisfying learning experience."